Q. 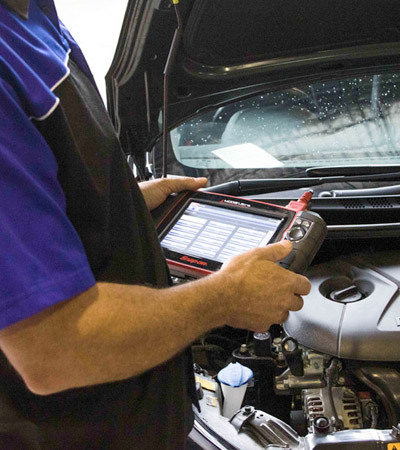 Do you carry out Pre-Purchase Inspections? Q. Do you provide warranty with your work? Q. How long are safety certificates valid? Q. What is a safety certificate? Q. Are you authorised to carry out Roadworthy (Safety) Inspections? Q. What payment methods to you accept? Q. Do you have somewhere I can wait while my car is serviced or repaired? Q. Do you have courtesy cars available? A. Yes we do! If you are thinking about purchasing a second-hand vehicle you will want to know that you are getting what you pay for. For a small fee we can give you an honest opinion and advise you on the vehicle’s condition. A. Absolutely! All workmanship is guaranteed for 12 month or 10,000 klm. A. Certificates are valid for 2 months or 2,000 kilometres (whichever comes first) from the date of issue. A. In Queensland a Roadworthy Certificate is called a Safety Certificate. A safety certificate is required when a registered light vehicle is offered for sale or when re-registering an unregistered vehicle. A safety certificate is issued after a vehicle passes a minimum safety standard inspection. The inspection covers the basic things that could affect the safe operation of the vehicle such as: tyres, brakes, steering, suspension, body rust or damage, windscreen and lights. A. We accept cash, EFTPOS, Visa and Mastercard. A. We are open Monday to Friday from 7.30am – 4.30pm. We are closed on Saturdays and Sundays and Public Holidays. A. Our address is Unit 30/3 Dalton Street, Upper Coomera. We are situated on the western side of the M1 Motorway off exit 54. A. Yes, we have a waiting room upstairs from our workshop if you would like to wait for your vehicle. A. Yes, we have 2 courtesy cars available (1 x manual and 1 x automatic) for your convenience, they are free of charge to use for the day and all we ask is that you replenish the fuel before you return the vehicle. Bookings are essential.